I have long maintained that the Harry Potter series is bad for kids, and have always been surprised when Christian parents defended the books. It is bad for children to see a "hero" such as Harry Potter using the powers of evil and witchcraft to solve his problems. 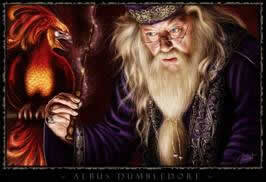 Now author J.K. Rowling has admitted that Albus Dumbledore, Potter's headmaster and mentor is a homosexual. It is interesting that Rowling waited until she had sold 325 million copies of these evil books and made over a billion dollars in profits before she "outed" the wizard. She claims she did it to reduce prejudice against homosexuals, but obviously money was more important than her claimed interest in making homosexuality more acceptable. She didn't want to hurt book sales, so she waited until the last book in her seven book series had sold twelve million copies before she made her revelation. I have had many discussions with parents who allowed their children to read these dark books. I can understand people who don't know the Bible letting their kids read them. They think of the books as innocent fantasies. But Christians who understand God's condemnation of witchcraft, which is prominent throughout the Bible, should know better. With Rowling's revelation, many parents are realizing their mistake. Rowling majored in mythology in Exeter University in England. In her Harry Potter books she uses material from various pagan religions (including the Druids), witchcraft, Satanism, and dozens of spells and incantations. It should be obvious to anyone who views the books objectively that they are designed to make the evil religion of witchcraft acceptable to young, impressionable children. By packaging this indoctrination in humorous, kid-oriented language, and using her admittedly excellent writing skills, Rowling has managed to deliver her message that evil is really good to over half the children in the United States. That's right. According to a US Consumer Research survey over half of American children between the ages of six and seventeen have read at least one Harry Potter book. Many have read all the books, which are between 300 and 700 pages long. My daughter will never read one, or see any of the movies, because I love her. Rowling claims that her heroes are witches of "white magic" who fight the evil forces of "black magic." This is ludicrous. Anyone who practices witchcraft, which involves manipulating and controlling others through the use of incantations and spells, is evil. "When you enter the land...do not imitate the detestable ways of the nations there. Let no one be found among you who sacrifices his son or daughter in the fire, who practices divination or sorcery, interprets omens, engages in witchcraft, or casts spells, or who is a medium or spiritist or who consults the dead. Anyone who does these things is detestable to the Lord." Deuteronomy 18:9-12a. Modern-day practitioners of witchcraft (sometimes call Wicca) are often compulsively promiscuous and abuse drugs. These people are desperate, depressed, and often suicidal. They should not be held up as role models for young children. Unfortunately, these evil books are being read to children in kindergarten and in the early grade school years. I was amazed when I read that one confused Christian (who seems never to have read the Bible) had written a book in defense of the early Potter books. In an interview, Connie Neal justifies her book, "What's a Christian to do with Harry Potter?" 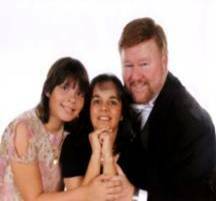 by saying: "I saw tremendous opportunity to overcome evil with good, diffusing and using Harry Potter to educate kids about occult dangers, share the gospel in a relevant way, teach kids principled moral decision-making, and spiritual discernment. My friends convinced me that I could help Christians who aren't comfortable explaining Bible teachings as they correlate to popular culture." But the Potter books have become darker and darker with each new edition. Human sacrifice, sucking blood from dead animals, and possession by spirit beings have all been depicted in the series. To give just one example (of many hundreds of dreadful passages in these books), in fourth book ("Flesh, Blood and Bone") Harry is magically transported with his friend Cedric to a dark, scary graveyard. There Harry is tied to the headstone of Lord Voldemort's father's tomb by Wormtail, a shapeshifter who takes the form of a rat. A slithering snake circles around Harry. Wormtail utters a death curse and a shocked Harry witnesses the murder of his friend Cedric. Just the kind of thing parents would want their first-graders hearing. In just one chapter of "Harry Potter and the Goblet of Fire" there are four murders. Ordinary people are depicted in the series as bad because they have no magic powers, and the heroes are the characters who use the occult. Parents the world over have reported that their children have nightmares, are more fearful in general, and are afraid to go to bed after reading Harry Potter books. Even Potter fans have become concerned over the self-abuse of one Rowling character, Dobby. He abuses himself by hitting himself on his head and burning his own hands. One supporter of the books posted this in a Harry Potter chatroom: "Although I love the books so much, I am concerned with the influence Dobby may have on young children. Particularly because the lovable and comical Dobby engages in quite severe forms of hurting himself (such as ironing his hands) as a punishment and to show loyalty...I am particularly troubled about the potential for social contagion. It has been shown that 8% of middle school students, 14 to 15% of high school students, and about 20% of college students have engaged in non-suicidal self-injury on at least one occasion. "This indicates that self-injury is a surprisingly prevalent public health problem. The social contagion of another self-injurious behavior, suicide, has been established in studies showing that the suicide rate increases in periods after publicized suicides. This has resulted in news programs limiting the publicity surrounding suicides. Because of this, I chose to express concern about the possible contagion of self-injury." Many previously deceived Christians are finally starting to see the light. I discovered hundreds of posts in chatrooms from parents and grandparents who had encouraged their kids to read the books. They have repented and have removed the books from their children's libraries. They say they are trying to undo the damage they have done to the children by their exposure to them. Robert McGee, the author of "The Search for Significance" and founder of the Ratha Treatment Centers, had this to say about the Potter books: "One of the most disturbing things about the Harry Potter series is it teaches children that witchcraft is for children. It does this by allowing children to read about other children in a school setting, and watching these children learn how to use spells and all the other elements of witchcraft. It teaches these children that witchcraft is just not for adults, but that children can access this power and use this power also." This is what Rowling had to say on the same subject: "The idea that we could have a child who escapes from the confines of the adult world and goes somewhere where he has power, both literally and metaphorically, really appealed to me." I'm not surprised that it would appeal to someone like Rowling, who is on a mission to indoctrinate children into witchcraft. The Harry Potter books have long been condemned by evangelical Christians and by Jews who understand the Bible's condemnation of the religion of witchcraft. The latest furor over the books began recently when Rowling answered a youngster's question about Dumbledore during a press conference at Carnegie Hall. She stunned fans by saying that he was a homosexual and had been in love with Grindelwald, whom he had defeated years ago in a bitter fight. For those who have been smart enough to avoid these books and therefore don't know about him, Professor Dumbledore is the most admired adult in the Potter series. He personally tutored Harry Potter in the use of witchcraft. For years Rowling has made witchcraft more acceptable, even popular, through the medium of these twisted books. Now she seems to have embarked on a campaign to make the sin of homosexual behavior socially acceptable. It is time for decent people to speak out against the evil that is being promoted through the Harry Potter books. Just because something is popular doesn't make it right. By the way, Warner Brothers, Mattel, Coca Cola, and Scholastic, Inc. have all been financial backers of this malignant series of books. You might want to think about think about that the next time you open you wallet to purchase any of their products or services. All of these companies are guilty of promoting the harmful influence of the Potter books, but Scholastic, Inc. is the worst offender. Scholastic is the largest publisher of children's books in the world. They are the U.S. publisher of the Harry Potter series. The company supplies nearly every public school in America with its products, reaching more than 32 million children each year. In recent years, Scholastic has been producing more and more materials featuring witchcraft, graphic horror, supernaturalism and spiritism. As a supplier of teaching materials to American schools for over eighty years, Scholastic is using its unrivaled position in the educational system to flood classrooms and libraries with Harry Potter books, recommending that teachers read them aloud in class. Their school-based magazines, published for all grades including kindergarten, vigorously market the Potter books to students while its website promotes the integration of the books materials into classroom activities. While reading Bible-based material is banned in American schools, the religion of witchcraft, repackaged through Harry Potter, is being given a powerful position through which to influence our children's minds and spirits in the public schools. This is just one more reason to consider private school or home schooling for your children. Review of the Movie, "Harry Potter: Witchcraft Repackaged"